Extra innings during minor league baseball games will now begin with a runner on second base. 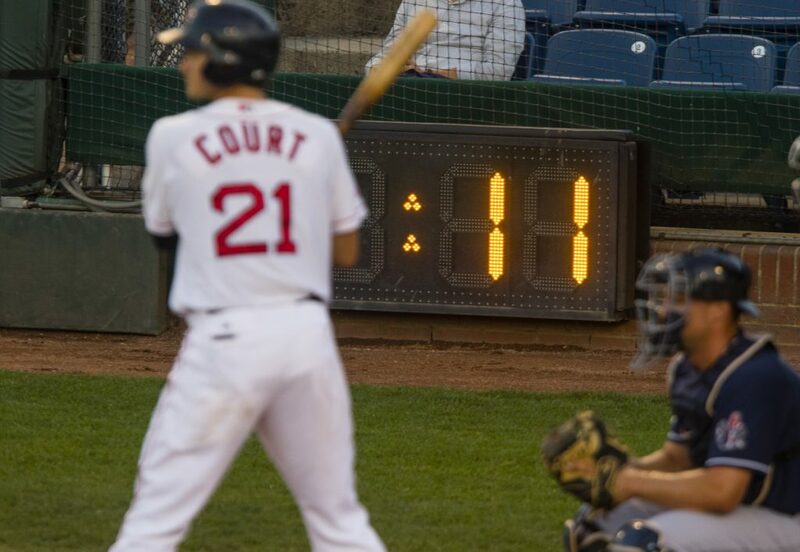 For Double-A and Triple-A teams, there will be a 15-second pitch clock when no runners are on base and a 20-second clock with base runners, The Washington Post reported. There was a 20-second pitch clock at Double-A and Triple-A the last three years, and now the pitch clock extends all through the minors. New limits on mound visits without pitching changes also will be added, the minor league governing body said. At the Triple-A level, it will be just six per game, while at the Double-A level, it will be eight per game. If a game enters the extra innings, teams will be award one mound visit for every additional inning. Visits for Short Season and Rookie-level teams are unlimited. The change was announced Wednesday as Minor League Baseball tries to speed up the length of games. If that runner scores, it is charged to the pitcher as an unearned run. Mound visits do not include discussions between the pitcher and positional player in-between at-bats and "do not require either the position player or the pitcher to relocate", a player visiting the mound to clean his spikes, an injury or visits to the mound after a substitution offensively. With the change, a runner will be placed on second base to start each extra inning, and then the inning will proceed as normal. Major League Baseball announced on February 19 that there will be a general limit of six mound visits per nine-inning game without a pitching change, whether by a manager, coach or player. Visits to the mound after the announcement of an offensive substitution. In the event a team has exhausted its allotment of mound visits in a game (or extra inning) and the home plate umpire determines that the catcher and pitcher did not have a shared understanding of the location or type of pitch that had been signaled by the catcher (otherwise referred to as a "cross-up"), the home plate umpire may, upon request of the catcher, allow the catcher to make a brief mound visit. Last but not least, we reach the pitch clock - or "pitch timer" as MILB calls it. If the pitcher fails to begin his delivery within the allotted times, the batter will be awarded a ball. 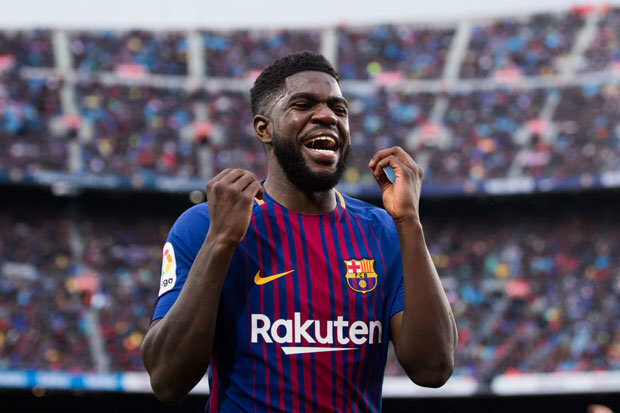 The announcement says that a 15-day grace period will go into effect from April 5-19 where players will receive warnings. If a batter is not "in the batter's box and alert to the pitcher" with seven seconds left on the clock, a strike is added to the count. "We feel that limiting mound visits and decreasing the amount of time between pitches with no runners on base will further improve the pace of play and make it a more enjoyable experience for our fans", O'Connor said. Bridgewater, meanwhile, is gradually working his way back from a serious knee injury that cost him most of the past two seasons . Keenum was also incredibly effective in the red zone, throwing 17 touchdowns compared to just one interception. He will be unveiled on Wednesday, March 14 in llorin, Kwara state. "I am the technical adviser of Kwara United right now". Kwara United have relieved head coach John Obuh of his duties with immediate effect . Assembly Speaker Rajendra Trivedi suspended Pratap Dudhat and Ambrish Der for three years, and Baldev Thakor for one year. Another MLA Baldevji Thakor, who allegedly punched his BJP rivals in the assembly lobby, has been suspended for a year. The video did not include anything about passing gun-control laws; instead he focused on ideas that could be implemented more easily. But WTO cases take time and during this time the United States steel industry could have some temporary relief. America helped other countries protect their own industries through high tariffs until they could recover.